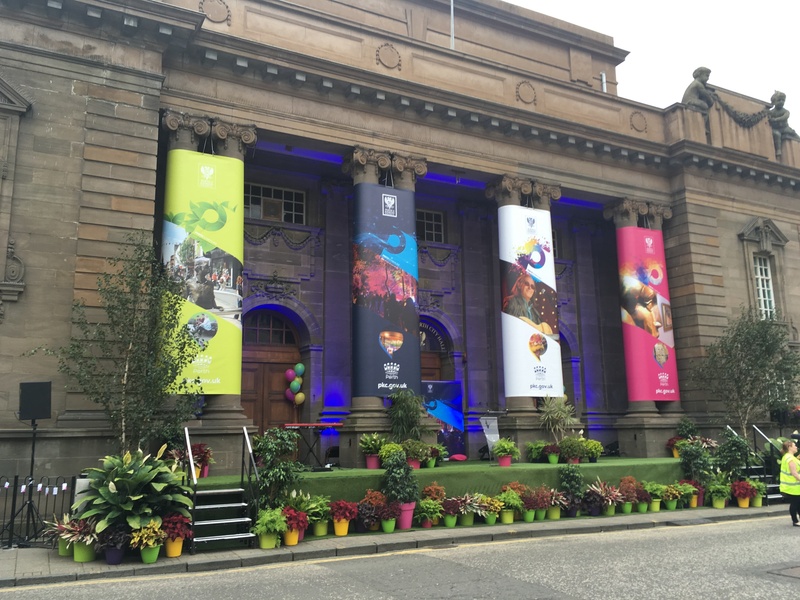 Perth City Hall, decorated for city of culture campaign. It all looked fantastic: The old City Hall, which has famously lain vacant for more than a decade, was dressed with banners, disco lights and flowers as a wild party erupted on its steps. Huge trees – because Perthshire is Big Tree Country – danced on the sidelines while actors dressed in authentic costume led a city centre trail, highlighting the area’s rich heritage and greatest achievements. And although there was much focus on Perth’s place in Scottish history, it was an event very much looking to the future. Like Samuel L Jackson at the end of Pulp Fiction, Perth is going through a transitional period. That empty hall could soon be a major arts attraction with the Stone of Destiny at its heart. That massive crane towering over the city centre? It’s working away on the £16 million new-look theatre, due to open next year. City of Culture status would be the icing on the cake for a city which is transforming at a rapid pace. But the bid could fall flat unless it gets the support it needs from the wider public.